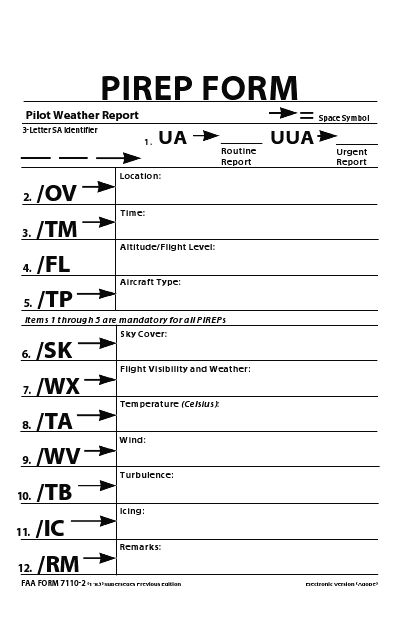 Weather /WX Flight visibility, precipitation, restrictions to visibility, etc. 1. Pilots should report location(s), time (UTC), intensity, whether in or near clouds, altitude, type of aircraft and, when applicable, duration of turbulence.